Paul Parsons has practiced immigration law in Austin since 1978. The Austin immigration law offices of Paul Parsons provide representation for seeking many U.S. nonimmigrant visas (such as H1, K1, K3, L1, E2, V and TN), immigrant status for permanent residence (green card), work permits ("EAD"), labor certifications (PERM), employment petitions, family petitions, corporate immigration, travel permits ("advance parole"), and U.S. citizenship through naturalization. Our firm specializes on immigration legal representation for individuals as well as for small, medium and Fortune 500 companies including but not limited to the following industries: education, information technology, nano-technology, pharmaceuticals, oil & gas, staffing, religious, security, & telecom. For over 30 years, we are proud to have represented clients from around the world including Mexico, India, China, Canada, the United Kingdom, Brazil, Iran, France, Germany, Pakistan, Korea, Vietnam, the Philippines, Morocco, Colombia, Peru, Chile, Argentina, and many other countries. Paul Parsons has practiced immigration law in Austin since 1978. He has been assigned Martindale Hubbell's highest "AV" rating for lawyers. Mr. Parsons has received the highest Avvo rating as a "Superb" lawyer. Languages: English and Spanish. 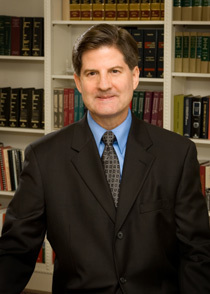 PAUL PARSONS, born Bartlesville, Oklahoma admitted to bar, Texas, 1978; U.S. Court of Appeals, Fifth Circuit, 1981; U.S. Supreme Court, 1982. Mr. Parsons has practiced immigration law in Austin since 1978. Mr. Parsons received a B.A. in Political Science in 1973 from Oklahoma State University and a juris doctorate degree in 1977 from the University of Texas School of Law. He was appointed in 1992 by Governor Ann Richards as Chairman of the Governor's Advisory Committee on Immigration. Mr. Parsons is the first recipient of the Sam Williamson Memorial Award "for excellence in advancing the practice of immigration law." Mr. Parsons served as a Director on the Board of Governors of the American Immigration Lawyers Association (AILA) from 1990-1996 and is the former Chairman of the Texas-Oklahoma-New Mexico Chapter. He was awarded the AILA Texas Chapter's Service Award in 1990 "for his contributions to the practice of immigration law" and the National AILA Pro Bono Award for his efforts to provide pro bono immigration representation. Mr. Parsons previously served as Chairman of AILA's Committee on Consumer Protection. He served for fifteen years as the Chairman of the State Bar of Texas' Committee on Laws Relating to Immigration (1990-2005). He previously was a member of the American Bar Association's Committee on Immigration Law. Mr. Parsons served as Chairman of the Examinations Committee on Immigration for the Texas Board of Legal Specialization from 1986-1995. He is a life fellow member of the Texas Bar Foundation. Mr. Parsons also served as President of the Austin Chapter of the Federal Bar Association. He is an Attorney Consultant to the Government of Mexico. Mr. Parsons is fluent in Spanish and is listed in The Best Lawyers in America (Woodward/White). He has been voted as a "Texas Super Lawyer" from 2002 to present. Mr. Parsons served as President of the Austin Kiwanis from 1999-2000. He has been recognized with Martindale Hubbell's highest "AV" rating and he has received the highest Avvo rating as a "Superb" lawyer. Mr. Parsons has also been recognized in The International Who's Who of Corporate Immigration Lawyers and The International Who's Who of Business Lawyers.